The street must have liked MA’s earnings results. This is one of the few stocks that has defied my volume analysis. Stocks floating up on poor volume are usually setup for a fall, especially around earnings. Think POT for a good example of this. 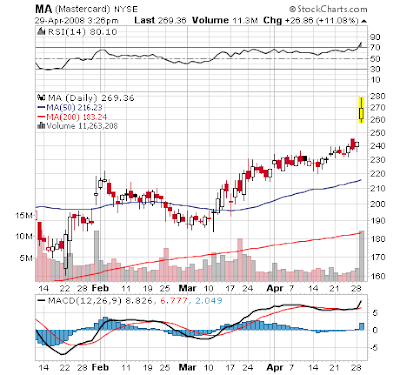 MA is now on my breakout-pullback watchlist.